A true performance application component for cars, trucks, hot rods and racing/competition vehicles, yet designed to be also used for street vehicles! A true performance application component for cars, trucks, hot rods and racing/competition vehicles, yet designed to be also used for street vehicles! Assemble to the chassis the same way as OEM parts. 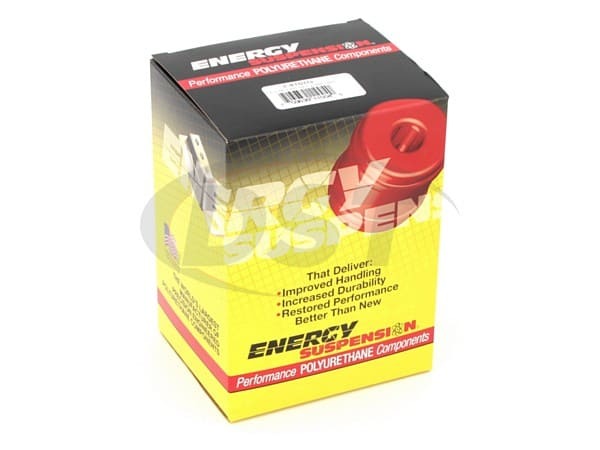 Helps control torque on high performance vehicles. Maintains proper drive shaft angle to help prevent early wear and unexpected power train damage! 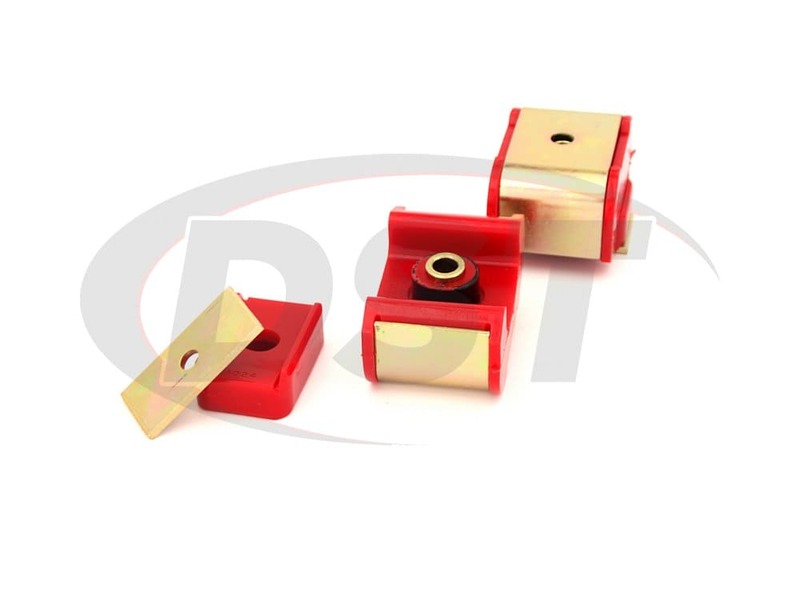 Replaces the original, short lived and typically too-soft rubber mounts and outdates those hard-running metal transmission mounts. Made of HYPERFLEX performance polyurethane. Energy Suspension's Hyperflex Polyurethane transmission mounts are much more durable, and better-suited material for handling the stresses of a transmission. Polyurethane is unaffected by UV rays, road grimes and vehicle oils, ensuring a long-lasting lifespan and performance. The O.E. 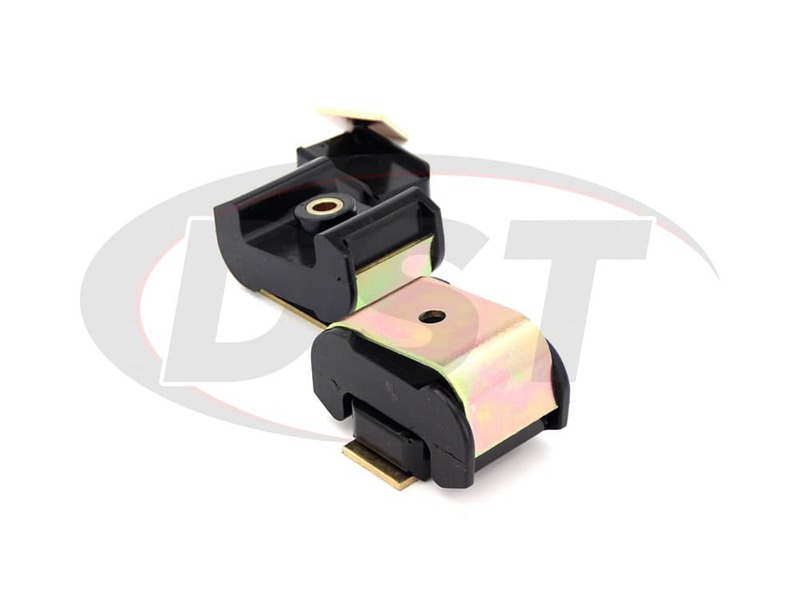 transmission mount is made of soft rubber. While the rubber is good for dampening noise and vibration, it is susceptible to cracking and splitting. 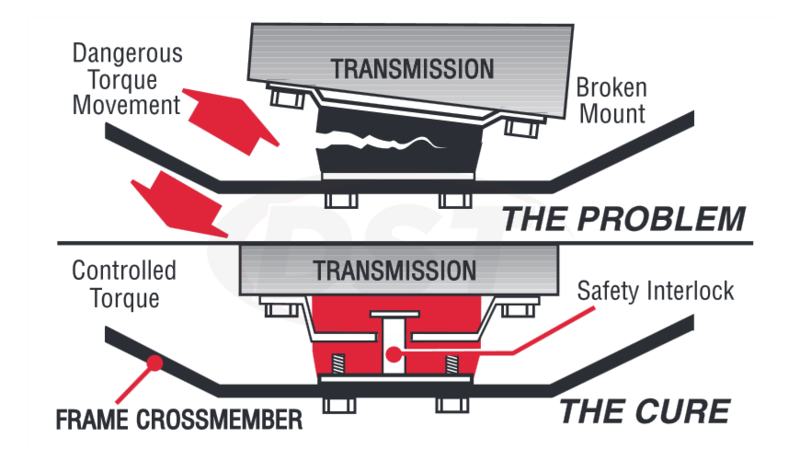 Without a proper functioning transmission mount, excess transmission movement is allowed as well as dangerous torque movement. 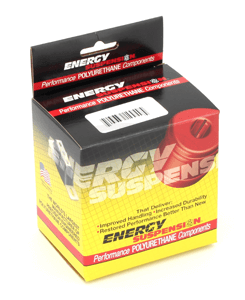 Energy Suspension's polyurethane mounts are much stronger than the rubber and is not prone to cracking. 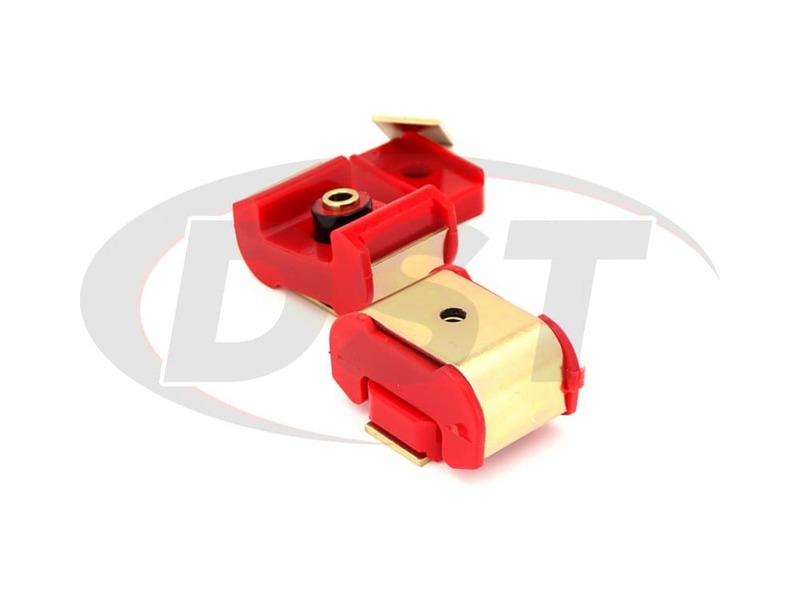 With the polyurethane transmission mounts, you will have controlled torque and the excess movement will be eliminated. 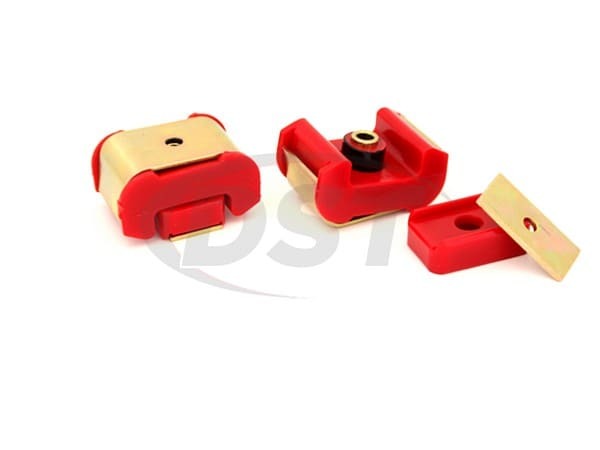 starstarstarstarstar" Awesome mounts, very high quality and much better than stock rubber. " These fit perfect and were extremely high quality. I dont think Ill be replacing them any time soon, looks like a lifetime product. starstarstarstarstar" Great product !!!! " This transmission mount fit perfectly. This is a well built product and will give you the confidence knowing that it will last and not fail. High quality parts with a great fit.. Are definitely better then the old rubber mounts and take the torque better..
What bolt size do I need for part number 3.1106? 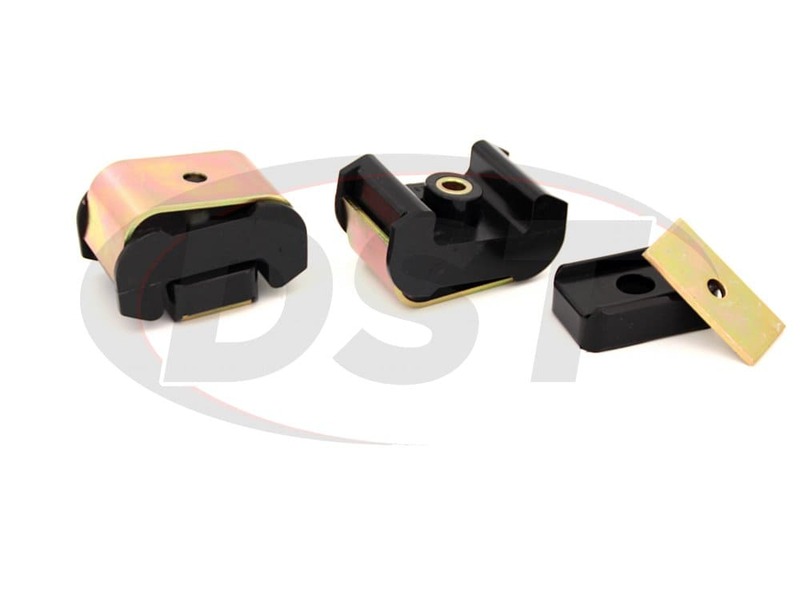 for part number 3.1106, the bolt size is a 9/16 inch and the length is between a 3-3.5 inches. Does part number 3.1106 fit my 1975 k5 blazer with a 208 transfer case? No, part number 3.1106 will not fit the 1975 k5 blazer with a 208 transfer case. Will 3.1106 work on my 1974 Chevy K10? No the 3.1106 only works on a 77-84 transmission, the one you would need is part # 71601 by Prothane which will work on a 1968 - 1984.